Multi-Use Path from Jackson to Jenny Lake — see separate post. Nearly 20 mile paved path. Jenny Lake. There’s a 7.1 mile loop around Jenny Lake, which is great for running. Map of area. Phelps Lake. 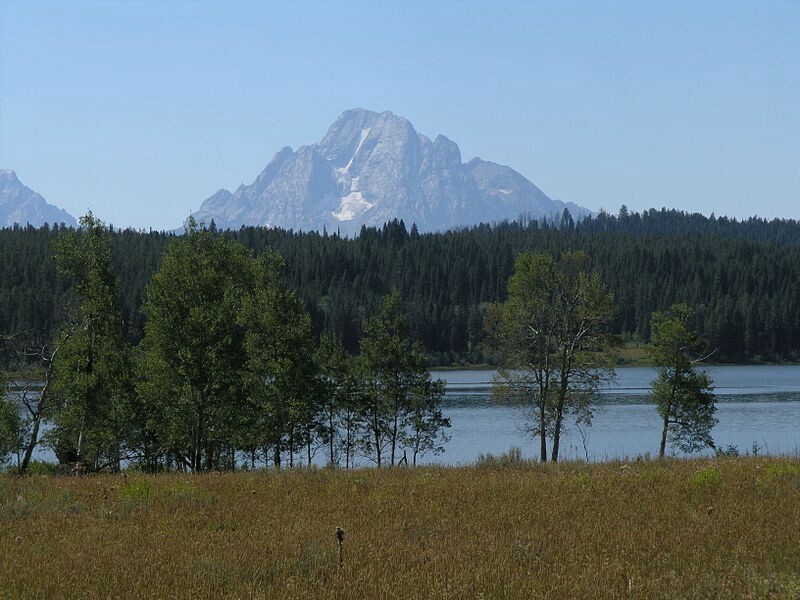 About 4 miles north of Teton Village, Phelps Lake is part of the Laurance S. Rockefeller Preserve. Take Moose Wilson Rd. (parts closed Nov.-May), and from the road, walk/run 0.75 miles to the trailhead. It’s 4.25 miles around the lake on a fairly well worn trail. Hilly, with elevation gain of 500 feet. Some good lake and mountain views. It’s recommended to run counter-clockwise, and it’s prettiest in the mornings. The adventurous can hike/walk/run to Phelps Lake on a trail from Teton Village. Additional info from Teton Trails. The Taggart Lake Trail is a relatively easy route with great views of the Tetons. The well-packed dirt surface and minimal elevation gain (400 ft.) make it a great run. From the trailhead parking lot, the first 1.5 miles are flat and lead you through an open alpine meadow to Taggart Lake. As you continue, the path gains some elevation as it enters a forested areas, with colorful aspens and evergreen trees. When you see a turn off for Valley trail, you have completed all of your elevation gain. Continue on the Taggart Lake Trail to loop around back to the start. 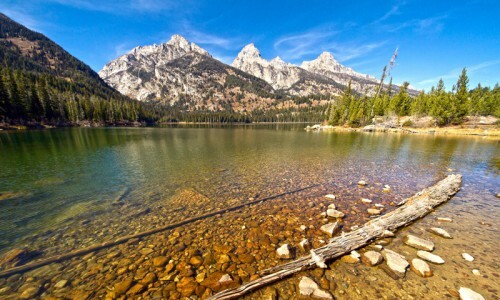 Away from some of the more crowded areas in Grand Teton National Park, lies a 6 mile loop around Two Ocean Lake. The path is well-packed dirt and rock with rolling terrain. 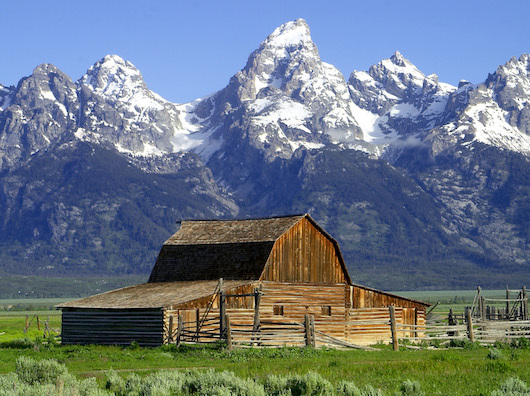 As you begin, pass through a large field that offers good views of Grand Teton and Mt. Moran in the far off distance. Along the route, there are openings along the lakeshore, with great mountain views. Pass several sagebrush, grassy meadows, aspen groves, and keep an eye out for common loons, osprey, and trumpeter swans. Just before the 3.5 mile mark, the trail reaches the South Two Ocean Lake Trail junction, which branches off to the left. Here, there is a highly recommended side trip (about 1 mile one-way climbing 635 ft) from the west end of the lake to Grand View Point, with great views of the surrounding area. The loop continues through some dense forest. Throughout this section remember your bear safety and make noise to announce your presence. Toward the end of the run is a large meadow that arguably offers the best views of Two Ocean Lake from its southern shore. Note: This route is known for high bear activity. Make sure you are prepared!